Online reviews have forever revolutionized the way businesses operate. Each time a prospective client or consumer searches for a service your business offers, they’ll be met with a multitude of different choices— all in their vicinity. 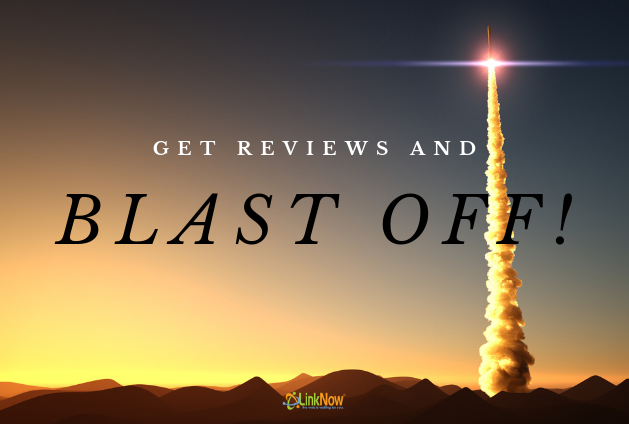 Whether good or bad, your reviews will summarize and highlight your business’s products or service in the interest of informing future customers. And not only is there a strong correlation between good reviews and new leads, but there’s also a connection between the way businesses rank and the kinds of reviews they get. While you may not be able to control the tone of your business’s reviews—other than offering clients the best service and the best products you can—there are little things you can do to make sure your reviews get you the ranking you need! Let’s have a look at a few ideas. Offer the quality of services and products your clients will be delighted to rave about! Reviews are formatted in the traditional one-to-five star ranking scale. While you obviously can’t specifically solicit great reviews, if you run the best business you can, the reviews will speak for themselves. Here’s the thing: you’re much more likely to hear from unsatisfied customers than from satisfied ones. That sounds like an incentive to me! With an array of glowing, five-star reviews, the clients will come flocking in! Did you know that reviews with words rank better than those without? Long, detailed reviews will do more than inform future clients about the quality of your products and services. They’ll also show Google that your products are worth a conversation. The simple fact that someone has put their time and energy into writing a detailed positive review, makes your company appear trustworthy for Google. Google lends more weight to reviews left by active users. Google calls these active reviewers Local Guides. By acquiring reviews from these Local Guides, you’ll start ranking a lot faster! Problem is, it’s not like you can go out there looking for Local Guides to review your product. So, encourage your clients to leave reviews on other businesses as well. With as few as 3 reviews, a Google user will become a trustworthy source in Google’s eyes. Like the content on your business’s website, online reviews have keyword ranking potential. That means that when your clients leave reviews with specific references to the products or services you offer, you could actually improve your ranking for those keywords. The more detailed, pertinent, and industry-relevant your business’s reviews are, the better. This one’s really simple: the more reviews you get, the more likely people are to trust your total rating. The same applies to Google. The more people that are engaged with your Google My Business account, the more authority you’ll build up. Most of us are visual people. For this reason, it’s wonderful for your business and for prospective clients for your customers to enclose a picture or two with a review. It’s common enough for restaurants where taking pictures of food is practically a subculture—but it applies to all types of businesses! Are you clients bursting with pride over their stunning new landscape or their gorgeous kitchen remodel? Have them show it off— and with it, your business’s craftsmanship! Most importantly, interact with your reviews—and your reviewers. Not just the good ones! The promptness of your reply and the quality of your response are both criteria that Google uses to rank businesses in local search. Be polite, detailed, and concise. In the case of a complimentary review, thank the client for their patronage and for taking the time to review, and tell them you look forward to serving them again. For a not-so-complimentary review, offer a genuine apology and seize the opportunity to remedy the situation. It will look so much better than an unanswered post! Need Help Managing Your Google Reviews? LinkNow Media Can Help! At LinkNow Media, reviews and reputation management are our specialties! After almost a decade of success in digital marketing, we have the answers you’re looking for. Ask us anything in the comments below or give us a call at 1-888-667-7186. Let’s work together to get ranking!